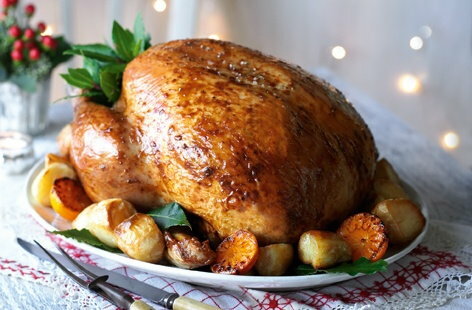 Which Supermarket offers the Cheapest Christmas Dinner: Tesco, Sainsburys, Ocado or Asda? Taking into account current Tesco voucher codes and offers, it could well be possible to bring your Christmas food total down by taking advantage of one of their many multi-buy deals such as 3 for the price of 2 on Christmas party food, £5 off easy entertaining orders over £50 and £3 off dairy orders over £12. It’s also worth keeping an eye out for Tesco voucher codes that can save you £15 on your first online grocery order. Order with one of our Sainsburys voucher codes to take advantage of one of their many current offers and deals, with as much as 70% off some products. You can also use Sainsburys voucher codes to get free delivery on your online order when you spend £100 or more, and it’s always worth keeping an eye out for Sainsburys promo codes that can save you money on your first online shop if you’ve yet to order online with this supermarket. This may seem like a much higher price to pay for that Christmas dinner, but when you take into account our current Ocado voucher codes, then you could bring it down significantly – using those Ocado codes, enjoy £20 off when you spend £80 or more on your first order. The perfect online deal if you want to save on premium brands this Christmas. What makes Asda stand out from other supermarkets is its already fantastic value before any Asda voucher codes are taken into account. Asda is especially good when it comes to multi-buy deals and might be your best option if you want to double up on some of these items – just head on over to our Asda discount page, click on the ‘up to 55% off selected lines’ link and see if there’s anything on a deal that can help you save this Christmas. Based on these figures alone, then Asda is the best value when it comes to filling your virtual Christmas dinner basket (although shopping with our current Ocado voucher codes gives them a very good run for their money!). However, in the interests of fair play, we would still highly recommend you budget for your Christmas food based on weight. All these sites also have their price per kg or 100g to give you a better idea of exactly how good value an item is, so use this information to make a more informed choice. Buying all your Christmas food and drink online certainly wins in terms of convenience, but when deciding on which service to use, it’s worth taking a number of factors into account – have you shopped with them before? If so, could you get a better deal elsewhere as a first time shopper with our voucher codes? Would you rather splash out on more expensive brands at Christmas and does the cheapest supermarket actually offer the best value in this respect? Whatever supermarket you decide to order with, make sure you tick off all those essential Christmas items off your list, and don’t forget – it’s always better to stock up than not have enough to last until New Year!